If you are a Porsche 911 owner who actually likes to get behind the wheel of their car, you, in all likelihood, spend more time on the inside than you do staring at your neunelfer’s iconic silhouette. Therefore, the interior needs to be up to scratch. So, without any further ado, here are our six favourite Porsche 911 cockpits. Which is your top choice? While at the time, some bemoaned the 964 Carrera RS for not being extreme enough, we really like the simplicity and attention to detail. The Spartan door cards were a nod to previous Rennsports (and are now a tradition) while the colour-matched, triple-tone bucket seats truly compliment the whole aesthetic. If there was one word to describe the 997.2 GT3 RS’s interior it would undoubtedly be “purposeful”. The centre console stripped of PCM (a no-cost option), the swathes of Alcantara, the carbon-backed, Nomex-clad bucket seats and that roll cage all make you want to buckle up and head to your nearest track. Pasha patterns and tartan check aren’t to everyone’s taste but you have to admire Porsche’s trim options during the G-Series Porsche 911 era. Now, with the market favouring originality, 2.7-litre, 3.0-litre and SC 911s with these eye-catching cloths are some of the most desirable impact bumper cars around. While the standard 3.2 Carrera was a Yuppie icon, complete with full leather interior, the stripped back Clubsport was bestowed with these natty blue velour pinstripe seats with a similarly hued dashboard top. The contrast with the red exterior stripes is what really makes this interior. Pastiche is not normally a good thing, especially when it comes to car design. However, Porsche perfected the retro throwback look with the 991 50 Anniversary interior. With the NOS ‘Pepita’ seat fabric and green dials (combined with the 991’s excellent ergonomics) this is the interior we’d choose to spend hours in behind the wheel. 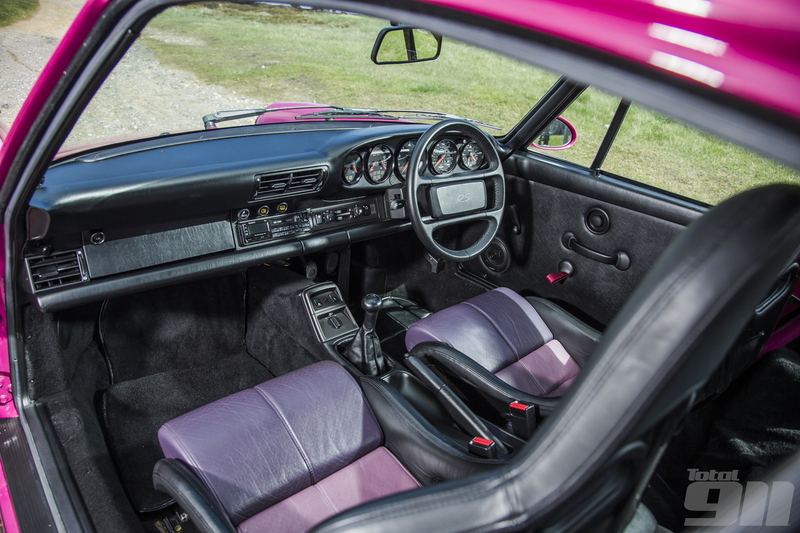 Is your favourite Porsche 911 interior not on the list? Share your choices in the comments below, or join the debate on our Facebook and Twitter pages now.